Caregiver stress is a condition that every family caregiver should be aware of and alert about facing. Caregiving causes you to spend more time and energy caring for someone else than you are likely to spend caring for yourself and that can place strain on your body, your mind, and your emotions. Here are some of the big signs to watch for. If you find yourself constantly irritated by situations that are out of your control or angry at something that is typically a mild inconvenience, you may need to take a step back. Caregiving is demanding work, but you should still be able to find more positive experiences than negative ones. You might also find yourself snapping at loved ones when you feel interrupted or over something small. Being a caregiver is not only difficult work, it can also be lonely work. You may have to work harder at keeping in touch with friends and family than you did before you started caring for your loved one, but it’s worth it. If instead you find that you’re feeling lonely more and more often, you need to look at your social interactions. You may have started isolating yourself unconsciously and that can lead to greater stress. If you’re feeling tired at the end of the day, that’s probably pretty normal. You’re juggling a lot of different tasks and keeping a lot of things rolling smoothly. If, however, you find that you’re absolutely exhausted at the end of every day, that might be the sign of a bigger problem. When you do get a little bit of extra sleep, are you still extremely tired? You may need a longer break. 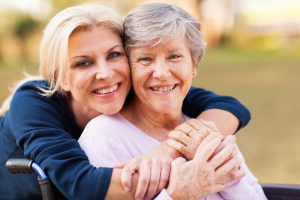 Anxiety and depression are unfortunately very common problems for family caregivers to face. If you’re feeling sad, anxious, and worried constantly, you may want to talk to your doctor to determine if you need additional help. You may also find it beneficial to talk to a therapist or a counselor regularly. The bottom line is that you need to make sure that you’re taking care of your own emotional health. If you’re seeing these signs in yourself, work with your loved one’s senior care providers, doctors, and your friends and family to set up a system of respite care so that you can recover. For in-home Cargiver Services in Memphis TN, please contact the caring staff at Personal Care Services MidSouth today! This entry was posted in Caregiver Memphis TN and tagged Caregiver Memphis TN. Bookmark the permalink.